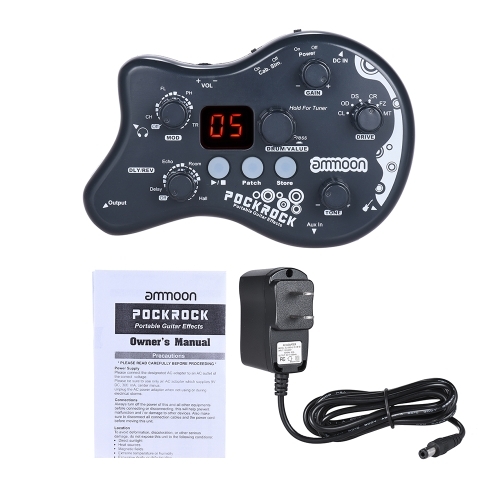 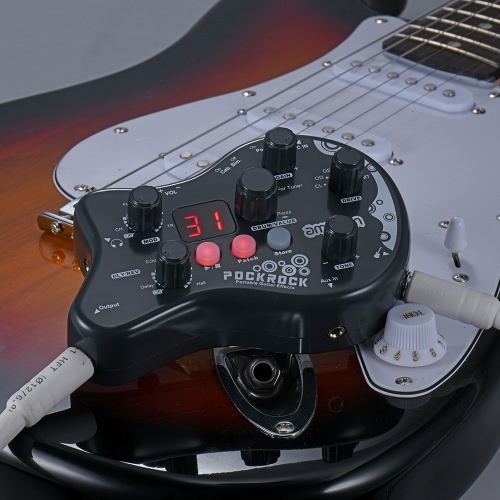 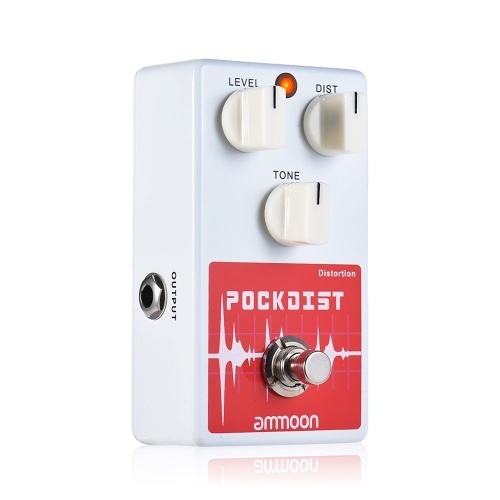 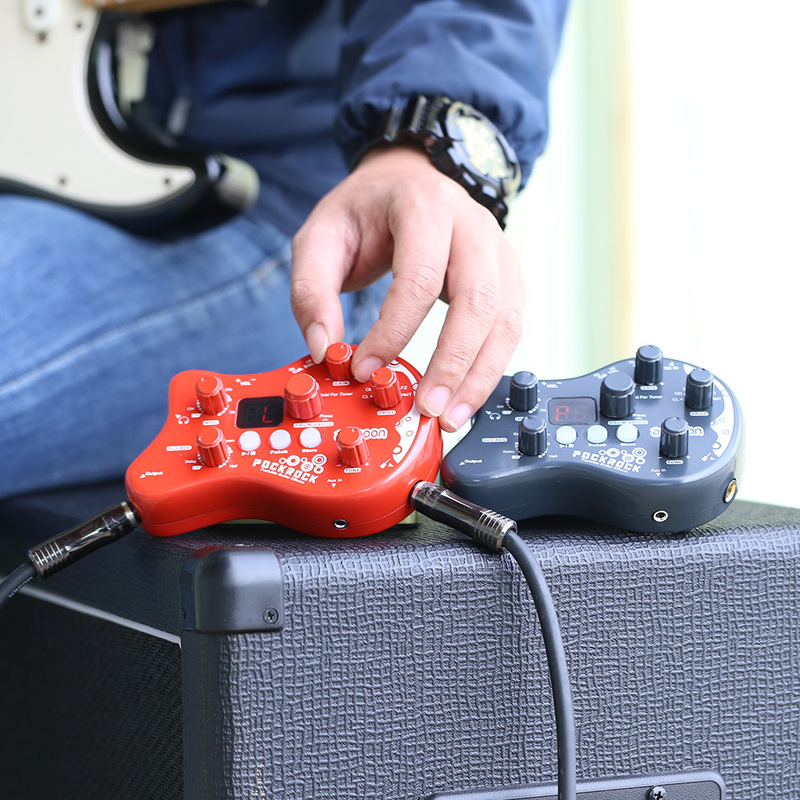 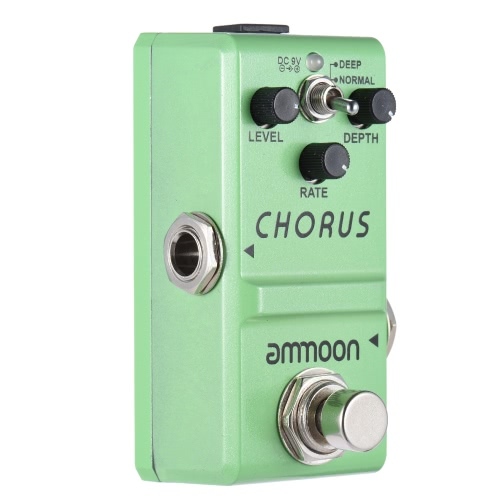 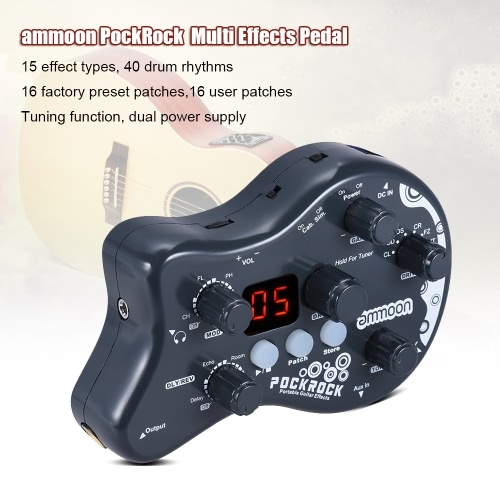 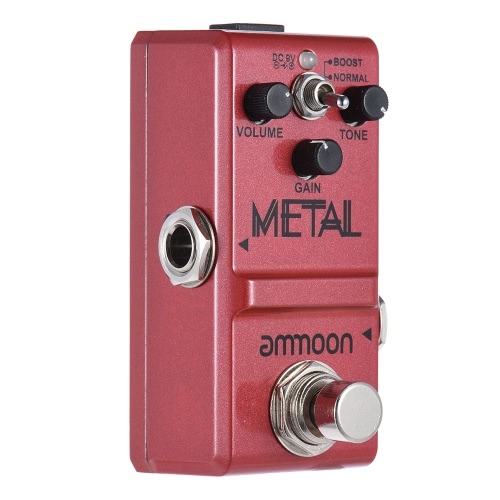 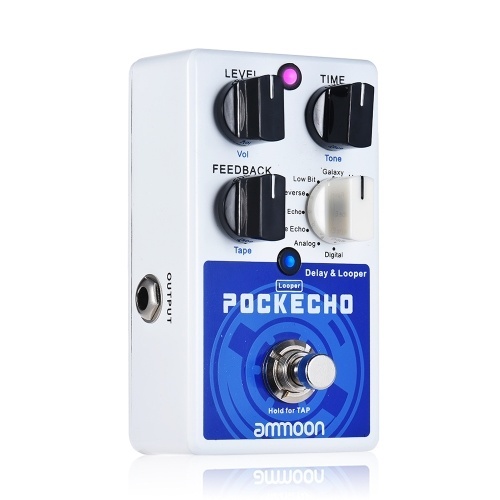 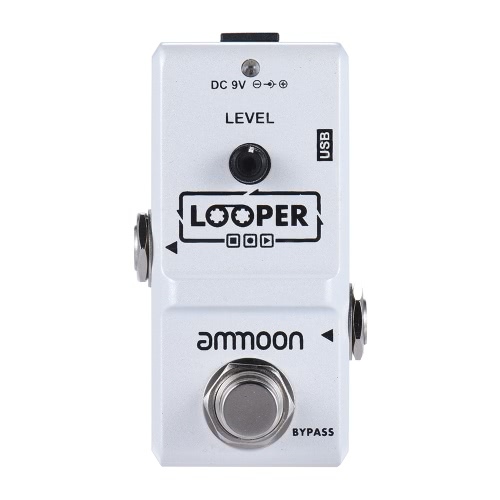 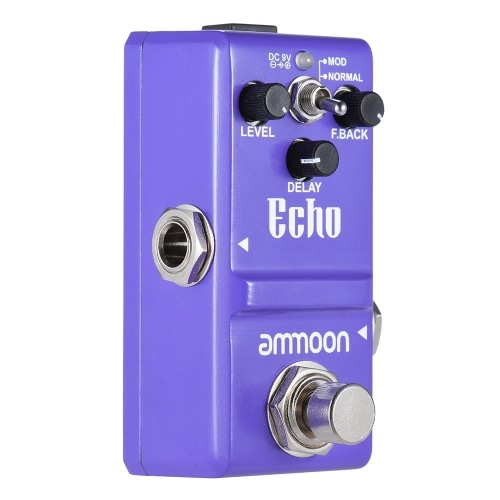 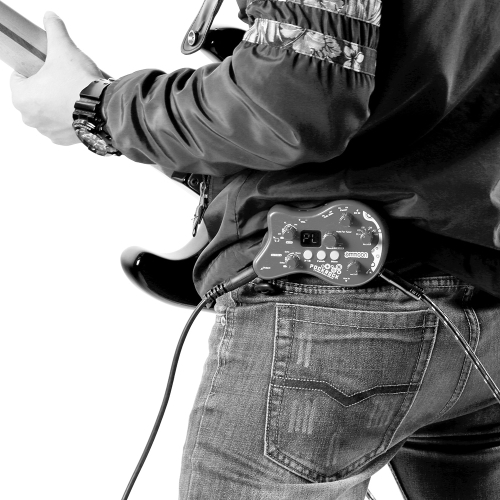 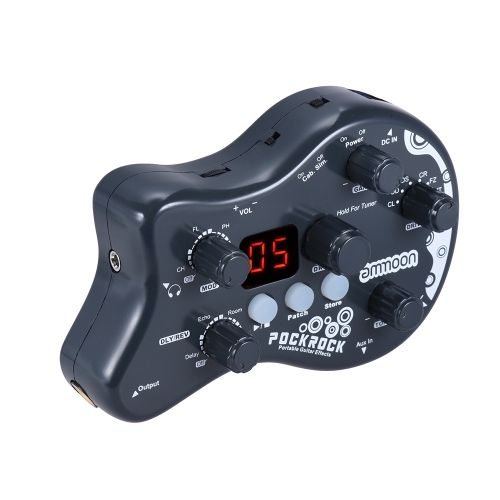 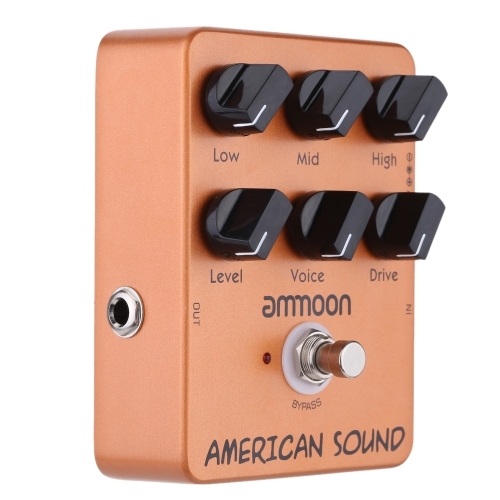 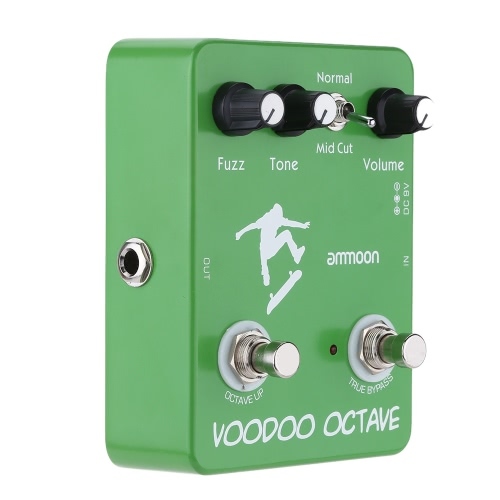 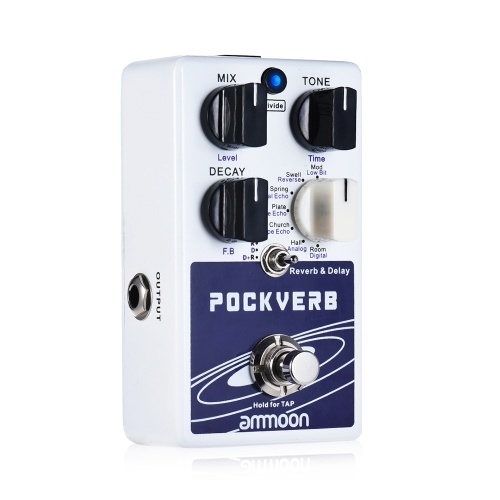 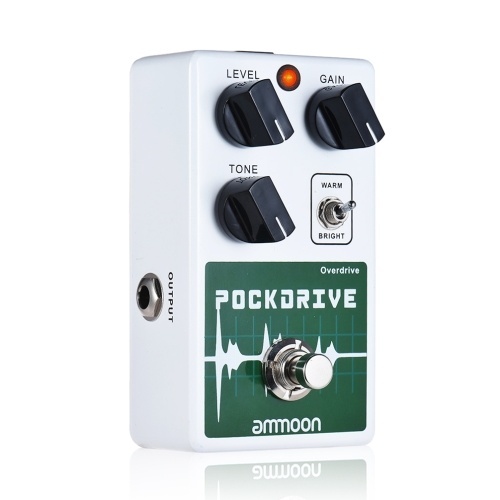 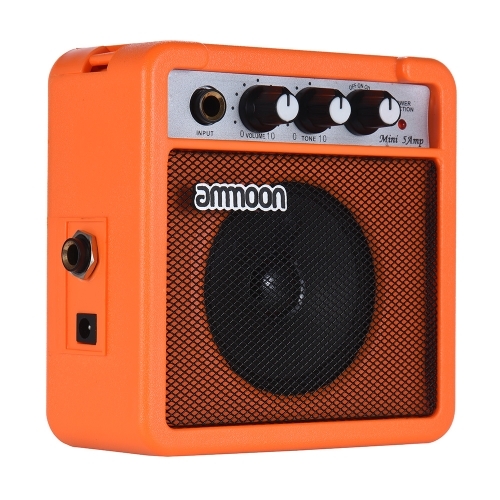 ammoon PockRock is a portable guitar multi-effects pedal. 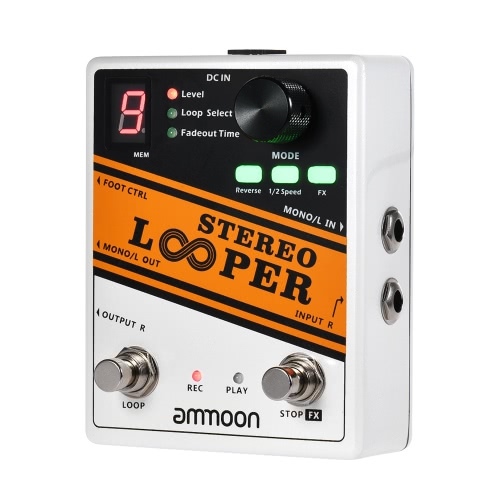 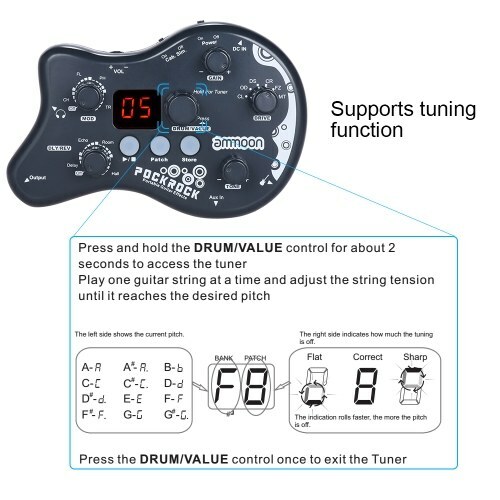 5 effect modules with 15 effect types, 40 drum rhythms, 16 preset patches and 16 user patches. 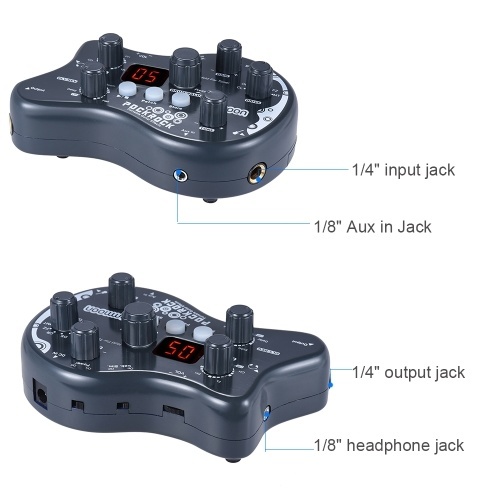 It is not only a sound library, but also allows you to create your own sound library. With headphone out and AUX in, you can enjoy your playing at night and no need to worry about disturbing others. 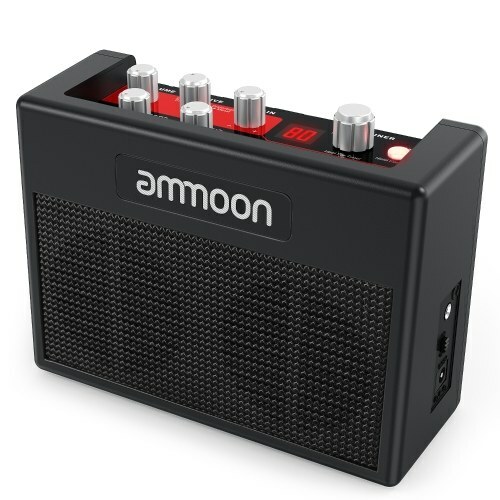 Battery-powered mode allows you to take it to everywhere. Everything you need is in PockRock! 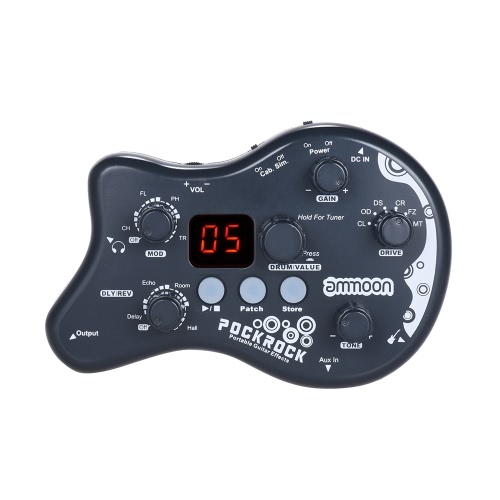 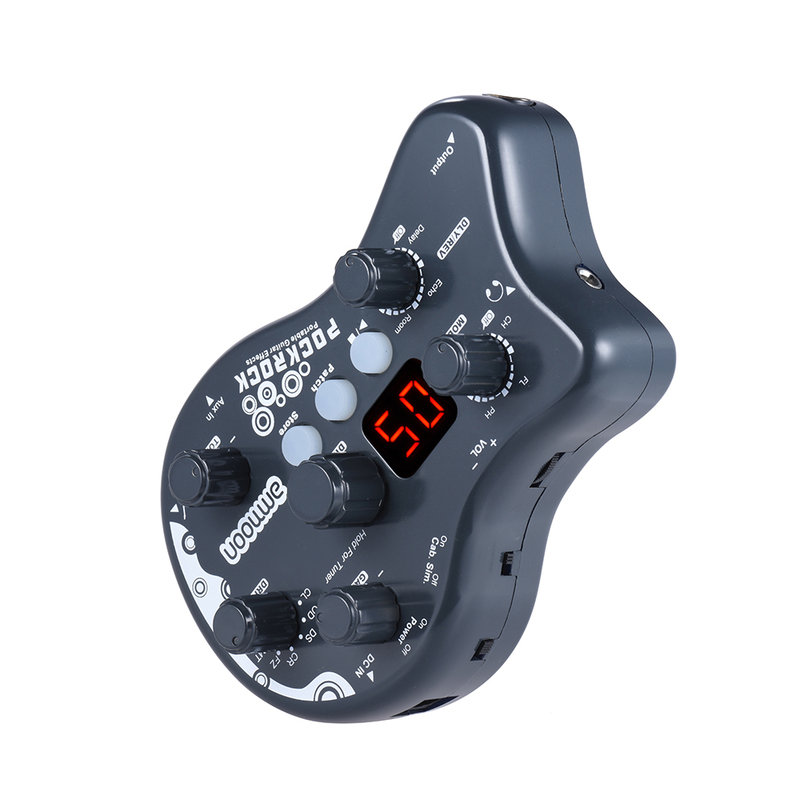 Portable and lightweight guitar multi-effects pedal with LCD display. 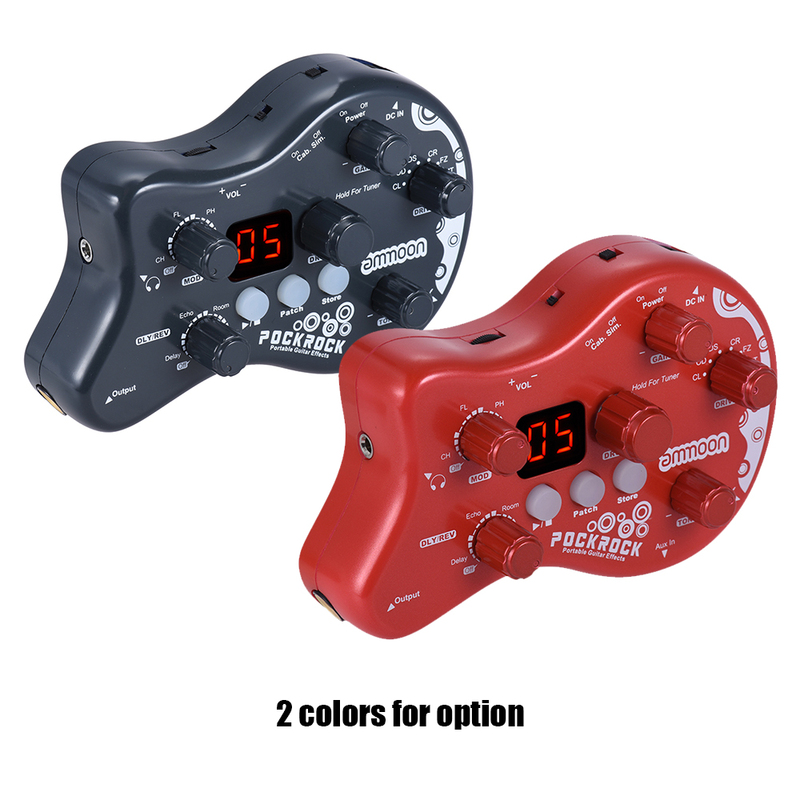 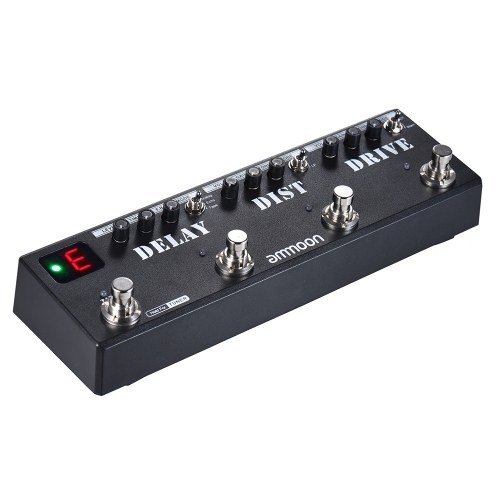 GAIN and TONE control knobs for adjust the gain of distortion and brightness of the sound. 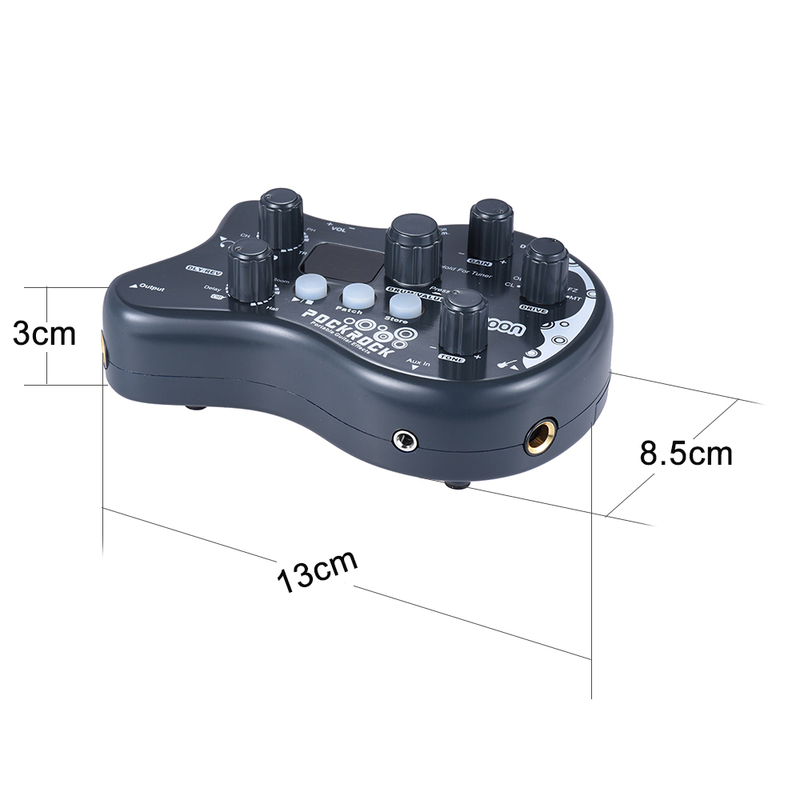 Dual power supply: DC 9V adapter(included) or 2 * AAA batteries (not included). 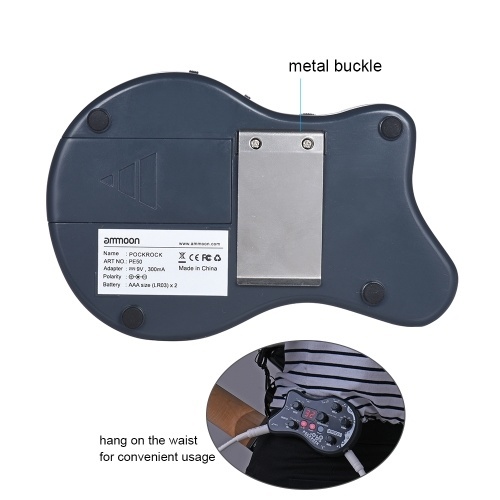 With a metal buckle on the backside to hang it at the waist for convenient usage. Guitar and cable showed in the pictures are not included.